At the risk of sounding like a broken record, the thing that you must remember about French wine is that it is a vast world: while on an individual basis, there are certain wines elsewhere that can compete with the best of French wines, there is no other country where the levels of quantity, quality and variety come together to add up to a unique package. I was pondering this thought as I was being whisked through the gentle countryside to the south-west of Nantes. 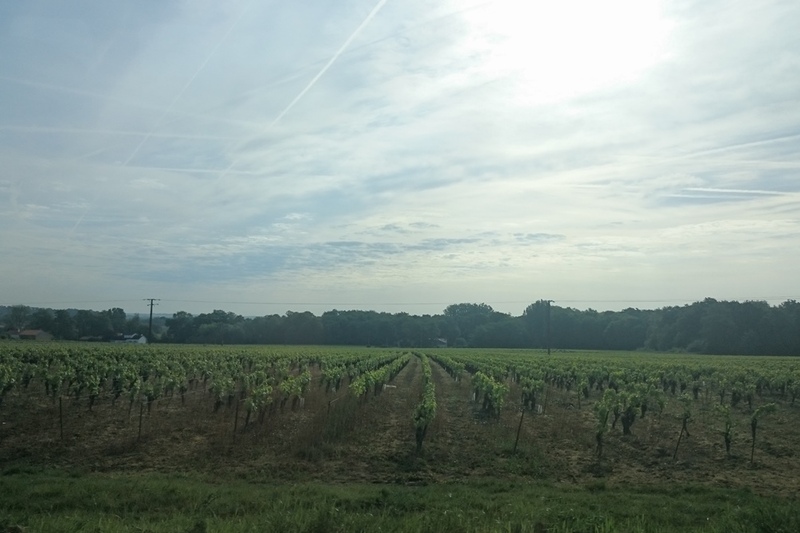 This is Muscadet country – the western end of the Loire Valley where the grapes are tuned towards producing the sweet delicate white wine that goes well with seafood and just about any other food you might see… or even without food at all. I’m not a great fan of white wine. It makes me wince at the first sip and then continues to burn its way down my gullet in an uncomfortable fashion that has me reaching for the antacids. This is a generalisation, of course, but I’m definitely much more of a red man. But Muscadet – with its smooth, sweet uniquely musky flavour – is definitely amongst that grouping of whites that surprise me with their level of drinkability and sophistication of taste. We were heading to the Domaine Ménard-Gaborit, which has been going since 1734. This is part of the Muscadet-Sèvre-et-Maine – one of three sub-divisions of the Muscadet appellation. The other two are two are Muscadet Coteaux de la Loire and Muscadet-Côtes de Grandlieu, but it’s the Sèvre-et-Maine (named after the two rivers of the area) that produce 80% of all Muscadet wines. In and around Nantes, you’ll have no trouble finding Muscadet wine but it’s apparently only in recent years that people have begun to appreciate the treasure on their doorstep that so many others around the world had appreciated for so long. 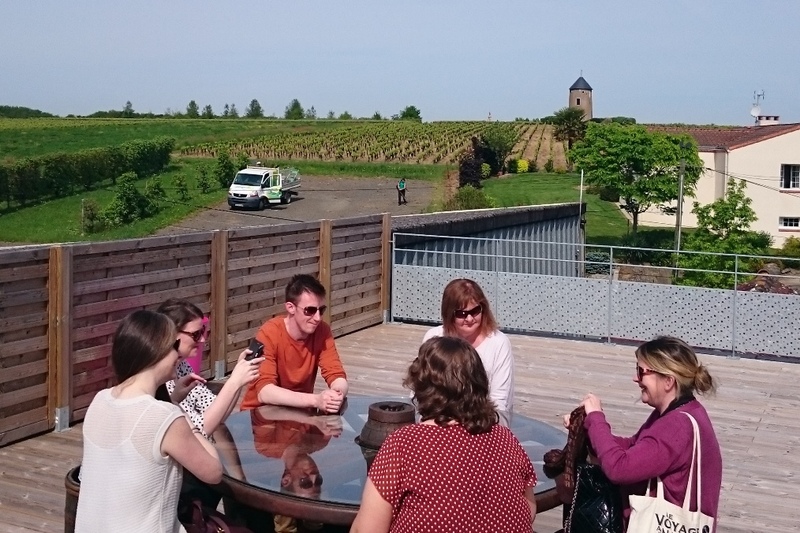 We were greeted by Madame Ménard herself and able employee Max, who took us through the technicalities of the business of producing Muscadet, as well as a tasting on the rooftop in the brilliant sunshine, accompanied by delicious canapés. The first thing I learned was that the “Sur-Lie” part of the title Muscadet-sur-Lie” refers to a technique whereby the dead yeast sediment that is normally removed after fermentation is allowed to remain for a further 6 months. This, Max told us, is the oldest method of wine producing but it’s a rarity in today’s world.There ar e over 600 producers in the area, where the soil is composed of sand and clay. Outside on the rooftop, we sat around a lovely table composed of fermentation barrel parts. There were vines as far as the eye could see and the unusually warm May weather (it was around 28 degrees) all set the perfect atmosphere for learning and tasting. The first one we had was a Muscadet from 2014. This was of the sur-Lie variety. Its beautiful delicate flavours seemed to seep gently into the palate as an afterthought. Nobody used the spittoon (we were proud Irish journalists, after all) and we moved on to the next one. From the same year, this one was different in that it was oak aged. It also needed to be served at 12-14 degrees – contrary to the general wisdom in Ireland that one serves all white wine as close to zero as possible. This had a smoother rounder taste and was most people’s favourite. Wine number three under the hot midday sun was something altogether more special. Served at 14-16 degrees (people of Ireland, please note), it was a Monnières Cru from 2010. It was produced using the sur-Lie method but had a distinctly smoother quality to it, with flavours that were very subtle but rounded. It felt like you’d need to drink a whole bottle before you’d get to truly know it. Technical Explanations: Max serves the wine and the science behind it. When it comes to wine classification, France has a very rigid and tightly controlled system that other countries don’t bother with (for example, one can’t water the vines in France in a new vineyard for the first few years). The basic wine is the Vin de Table, or Table Wine. The next level up is the Vin de Pays (country wine), then the AOC (Appelation d’Origine Contrôlée), followed by Cru and Grand Cru. If you’re a wine producer, it’s extremely hard to get a Cru quality label on your product and the one we were drinking is one of only 12 in the area (out of 600 producers, each making several different wines). The grapes they use are mostly the Melon de Bourgogne (a unique grape to the region) and, to a lesser extent, the Chardonnay and the Gros Plant. With our heads spinning, we bade adieu to our generous hosts. Madame had a bit of a soft spot for Ireland and her son was in Clare on some work experience, she told us. It was time for lunch at the Auberge Chez Pipette down the road: a roadhouse restaurant with an airy rear terrace entirely surrounded by vineyards. On the menu were frogs legs in persillade, Muscadet-infused sausage and Gâteau Nantais… all washed down with Muscadet. I was converted. 35 Rue de la Combe, 44690 Fiacre sur Maine, France, Tel +33 2.51.71.65.74, www.vlo.fr – Franck Pasquier heads up a company that organises half-day and full-day tours that can start at €59/person for half a day of heaven. Domaine Ménard-Gaborit, 44690 Monnières, France, Tel +33 2.40.54.61.06, www.domaine-menard-gaborit.com. My name is François MENARD, you met my mother last weekend during your trip in France. Currently I’m here, in Ireland since April and for 3 months again. 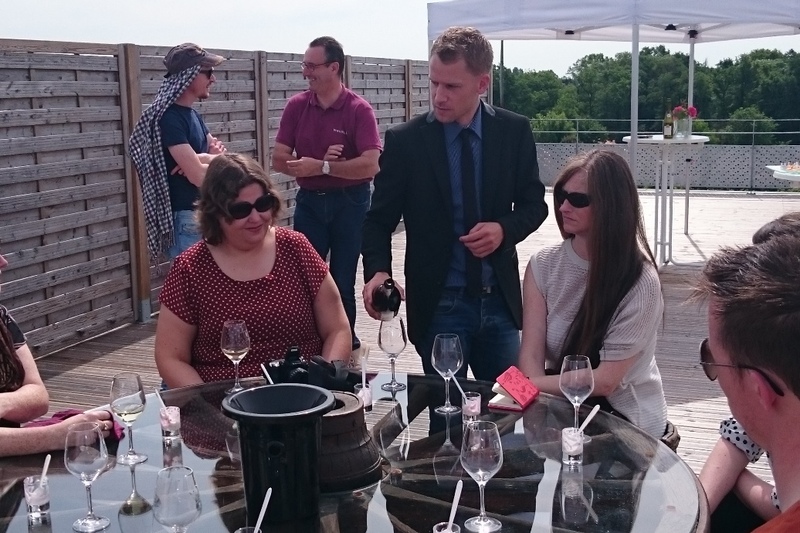 It’s a very interesting article, well wrote, and… With a great promotion for the Muscadet! Thanks for getting in touch. We missed your comments somehow – they had been put into spam. We’ve made amendments to those two mis-spellings. I hope that you’re enjoying Ireland – I’ve just come back from another trip to France.